Mayonnaise is produced with a stable emulsion of oil, egg yolk, vinegar or lemon juice and herbs or spices. Mayonnaise, a high-oil containing product, is susceptible to oxidation resulting in quality deterioration, Growth of heterofermentative Lactobacillus results in visible spoilage. Gas formation, and a decrease in pH, Yeasts may cause spoilage by gas formation and formation of brownish colonies on the surface of mayonnaise, which may appear as small oil droplets. Z.bailii can cause gassy spoilage (CO2 and alcohol) in mayonnaise. Handary provides clean-label ingredients for shelf life extension of mayonnaise. *The information contained in this website is based on our own testing analysis and is, to the best of our knowledge, reliable. Users should, however, conduct their own test to determine the suitability of our products for their own specific purposes. Mayonnaise, a high-oil containing product, is susceptible to oxidation resulting in quality deterioration. 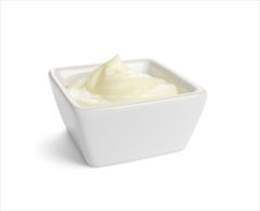 Mayonnaise prepared without antioxidants had a shelf-life at room temperature of approximately 1 day. Guardox™ OE had proven effectively against oxidative off-odor development at room temperature of above 120 days. Mayonnaise is often spoiled by Lactobacillus spp, such as L. fructivorans, L. plantarum, and L. buchneri. It is also vulnerable to Bacillus vulgaris which lead to darkening and gas formation. What’s more, growth of Osmotolerant yeasts such as Z. rouxii, Z. bailii, and Pichia membranaefaciens causes gas formation and formation of brownish colonies on the surface of mayonnaise, which may appear as small oil droplets. Figure 1 and Figure 2 present the inhibitory effect of Proteria® CA against Lactobacillus spp and yeast. Compared to control, growth of both microorganism is inhibited and shelf life of mayonnaise is extended to more than 60 days in both case.